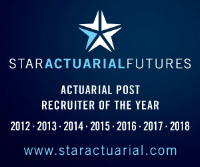 Do you have between 2-5 years experience in the UK pensions actuarial market? A leading consultancy who offers high quality services to both trustees and corporate is looking to hire an actuarial analyst into their London office. The work will be varied so this would represent a logical career move if you feel you are currently not getting the career development opportunities you feel you require. Good exam progress will be required whilst you must also possess excellent communication skills and hold at least a 2:1 degree.